A Fairfield man charged with endangering and abandoning his 16-day-old son last month has also been charged with DUI and hit-and-run causing property damage. Daniel Mitchell, 18, pleaded not guilty to the additional charges Thursday. His next court appearance is Sept. 14 when a preliminary hearing on all the charges will be set, the Solano County District Attorney's Office said. Mitchell previously pleaded not guilty to the felony child endangerment and abandonment charges. The complaint alleges Mitchell, 18, committed the offenses while he was out on bail in another case. He also has been charged with a misdemeanor count of possession of cocaine. Mitchell allegedly left his 16-day-old son alone in a Suisun City shopping center parking lot on July 24. Employees of a barbershop in the Sunset Center shopping center at 135 Sunset Ave. found the infant in a car seat and called police around 3:15 p.m. The infant was taken to the NorthBay Medical Center and was transferred to Children's Hospital in Oakland. Mitchell and his vehicle were recorded on a video surveillance camera in the shopping center, police said. 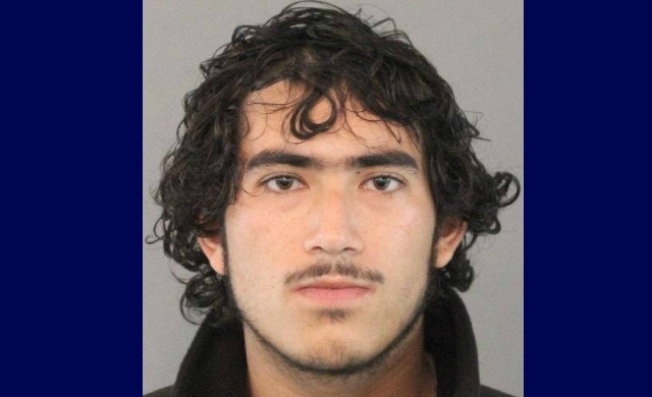 He was arrested on suspicion of DUI and hit-and-run after a traffic collision in Fairfield while Suisun City police were investigating the abandoned infant.